Had to move mom into assisted living and we have been going through papers. 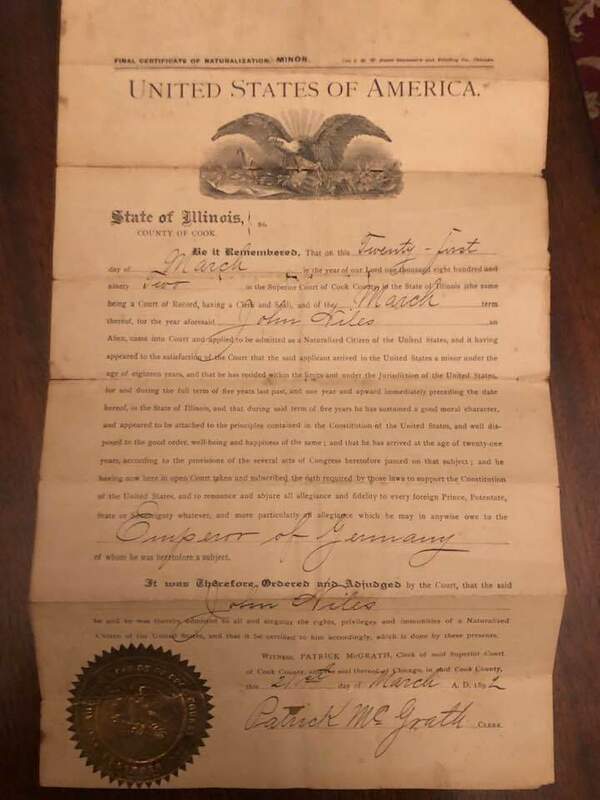 My great grandfather's naturalization papers. Re: I guess I'm legal. How does that make you feel Maddog? Thor wrote: How does that make you feel Maddog? I knew I was legal, but I had never seen this document. Thanks, her spirits are good, she's just not really capable of handling a 4 bedroom house at 87 with a new hip.